While it’s easy to react impulsively to these unwanted fire alarms, in doing so, you may create some significant problems in the long run. Most fire alarm systems sit quietly, waiting to alert others of a possible threat. While we have all undoubtedly become interdependent on these systems, at some point in time, a false alarm will be experienced. While it’s easy to react impulsively to these unwanted fire alarms, in doing so, you may create some significant problems in the long run. Here is everything you need to know about false fire alarms. 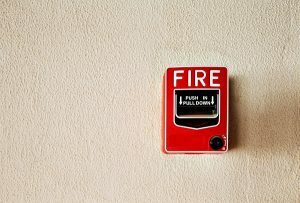 In almost any building, on average occupants will most likely experience at least three false fire alarms a year. But this is where the true threat ultimately lurks. As everyone becomes accustomed to false alarms, the fire alarm systems eventually lose their effectiveness. Unfortunately, if this happens, danger follows. When that alarm starts ringing most people will get that initial shot of adrenaline, but how long does it take for occupants to calm themselves down? After getting a little annoyed at the false fire alarm, most people are likely to ignore the signal the next time it goes off – which could, in fact, be an indication of a real fire situation. Another issue associated with false fire alarms is fixing the problem. Most times, out of sheer frustration, building owners and property managers will seek ways to remedy the problem. But they can’t just get rid of a fire system essential – the fire alarm. As a result, facility managers end up putting the “fixing” on the backburner and never getting around to fixing the problem. Therefore, these patchwork solutions just end up being the leading cause of nuisance alarms and present a massive risk to everyone occupying the building. Here’s the thing – you’ll want to make sure that you eliminate the risk of false fire alarms by getting them inspected and tested every year, not to mention keeping them properly maintained. It’s the only real way to get the most effective use out of your entire fire protection system! This entry was posted on Friday, February 23rd, 2018 at 9:08 am. Both comments and pings are currently closed.